A thanksgiving-day hath a double precedency of a fast-day. 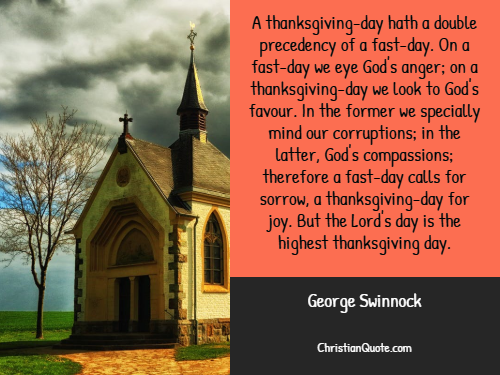 On a fast-day we eye God’s anger; on a thanksgiving-day we look to God’s favour. In the former we specially mind our corruptions; in the latter, God’s compassions; therefore a fast-day calls for sorrow, a thanksgiving-day for joy. But the Lord’s day is the highest thanksgiving day.